Ladbrokes has been booking wagers as far back as 1886! Ladbrokes is a London-based bookmaker with a first-rate reputation and a global presence. Ladbrokes is both a brick and mortar operation as well as an online operation. The brick and mortar business consists of some 2,400 physical betting shops spread throughout the UK, Spain, and Belgium. Ladbrokes.com features their widely popular online sportsbook, but also online poker room, bingo, and full featured online casino. In this review, we will be detailing an exclusive Ladbrokes Casino offer, where you can receive 10 free spins without the need to make a deposit! Just register your new Ladbrokes Casino account with our exclusive Ladbrokes Casino no deposit bonus code of BONUSBETS, and you can receive 10 free spins with no deposit required! Click here to get your free spins from the Ladbrokes Casino. New members joining the Ladbrokes Casino can receive 10 free spins instantly, with no deposit necessary! Register your new account with our exclusive Ladbrokes promo code BONUSBETS to qualify! This exclusive Ladbrokes promo code also provides a free sports bet at Ladbrokes Sports. You can click here to read more about this Ladbrokes promo code for Sports here. This exclusive no deposit bonus is made of two parts. The first part is the 10 free spins which you receive after registering your account. The free spins may only be used on the Age of the Gods slots. You must be a resident of the UK with a GBP bank account, and you must be new to Ladbrokes to qualify. If your account properly qualifies, then you must opt-in and accept the terms and conditions. Then on the qualifying games, you must click the “Free Spins” button to use your free spins. There is a 20x wagering requirement on any winnings from your 10 free spins. There is a limit to the amount you are allowed to win from the free spins – which is £100. If you are lucky enough to win more than that, sorry, the amount will be forfeited. However, if after meeting the 20x wagering requirement, any winnings are yours to keep and cash out, up to the £100 limit. If you then so choose to make a deposit, then you can take advantage of the second part of the welcome bonus, which is a 100% deposit match of up to £500 plus 90 more free spins! Again, the free spins may only be used on the Age of Gods slot games. The free spins are valued at 20p each. There is a 20x wagering requirement on any winnings resulting from the free spins. The deposit match bonus offers a maximum bonus amount of £500. The minimum deposit amount to qualify for the 100% match bonus and 90 additional free spins is £20. So whether you deposit £20 or £500, you will receive the 90 free spins. There is a 20x wagering requirement on the sum of the deposit and bonus amounts, and not all games contribute equally to satisfying those requirements! In order to maximize the bonus, new members should deposit £500 providing a total bankroll of £1000 to play with! 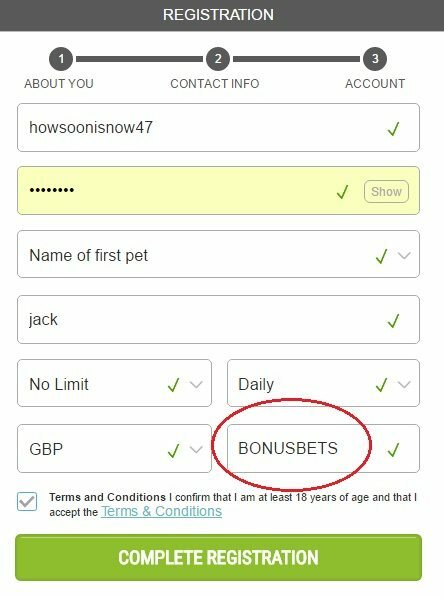 At the time of this writing, the Ladbrokes Casino bonus works like this – once you make your deposit, you will receive the 100% bonus immediately upon making your deposit. So, if you deposit £500, you will immediately be given an additional £500 so you can play with £1000. All the bonus dollars can EVENTUALLY be withdrawn!!! However, you must wager the bonus amounts 20x over before you are eligible to transfer those funds. Also, when calculating the 20x wagering requirements, not all wagers full count towards meeting those requirements. The Ladbrokes Casino has an alternate welcome bonus of 300% up to £300 with 25 free spins. Click here to read about this Ladbrokes Casino download bonus. 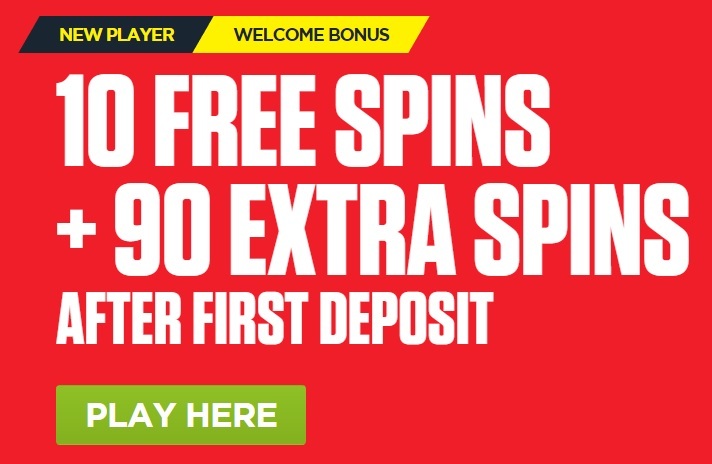 Get Your 10 Free Spins, No Deposit Required, at the Ladbrokes Casino! Read more about the Ladbrokes Casino no deposit bonus here.